Precision Fluidics Division of Parker Hannifin, a global leader in manufacturing analytical, industrial and medical instrumentation. Since our inception in 1968, the Industrial Division has specialized in the development, manufacture and sale of precision instruments, like mass flow controllers, flow meters, and rotameters, for the measurement and control of gases and liquids. 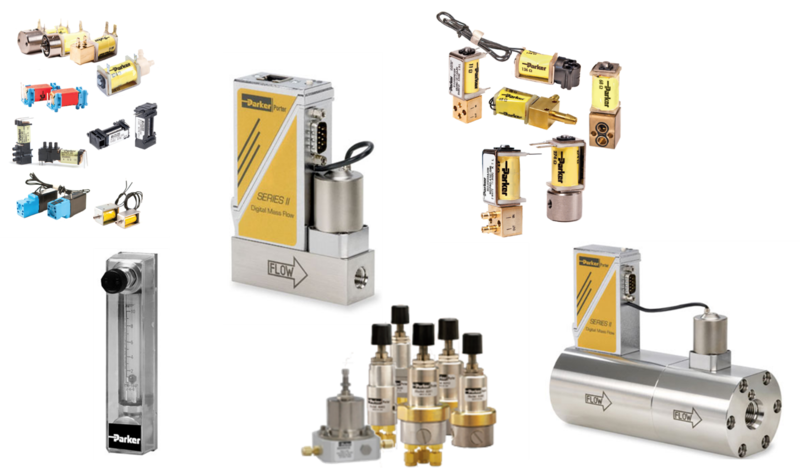 Today, in that same tradition of precision, Parker flow and pressure control instruments, both standard or modified to customer design requirements, excel in some of the world's most performance-critical applications. They play a vital role in the production of computer chips. They are trusted for the regulation and measurement of anesthetic gases in operating rooms worldwide. They aid in the production of pharmaceutical drugs, cutting-edge biotech research, dental patient sedation and environmental monitoring. For more information, visit the Parker Fluidics website. To purchase Parker Fluidics products directly, please fill out the contact form below.